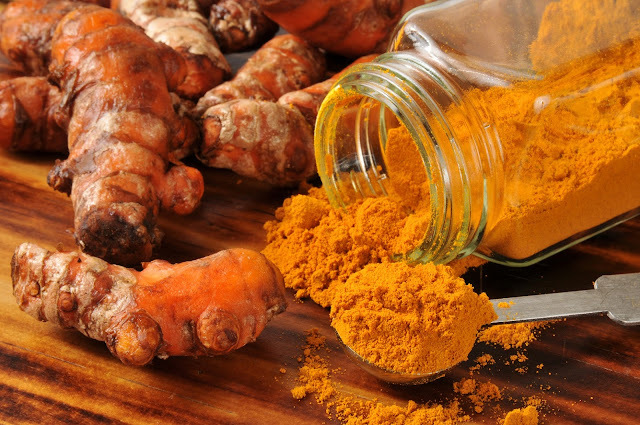 Turmeric is one of the strongest therapeutics of nature. 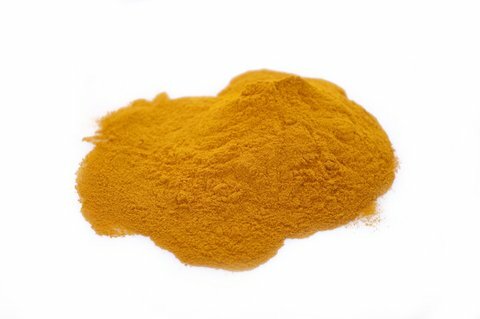 The active ingredient is curcumin and is used for over 2500 years in India where probably first used as a dye. Often used to paint with the bright yellow color, foods such as drinks, ice, yoghurts, cakes, orange juice, biscuits etc. It is also a key component of curry. The medicinal properties of this spice revealed gradually through the ages. It was long known for its anti-inflammatory properties. 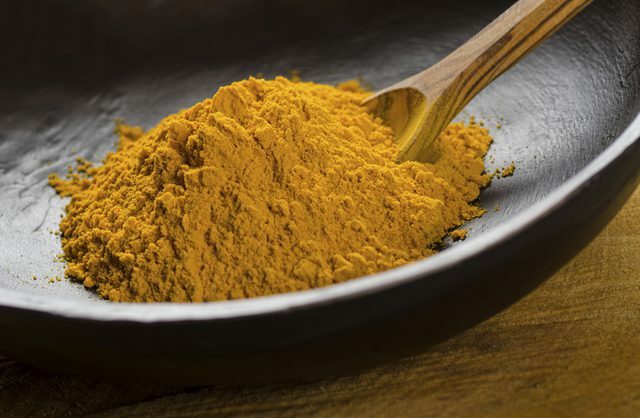 Recent research has shown that turmeric is a natural miracle that proves beneficial for the prevention of many different diseases from cancer to Alzheimer's disease. In medieval Europe it became known as the "Indian saffron", as it was widely used as an alternative to the very expensive spice, saffron. In my Kitchen I have several ways to add it to the diet of my family. When I boil water for pasta, as linguine or tagliatelle throw within this up to a half of tablespoon turmeric. I do the same when I cook cauliflower or broccoli. I use it when I prepare desserts and so I have the opportunity to color them simultaneously. 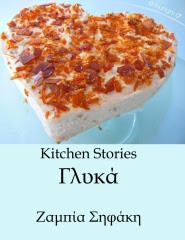 In preparation for minced meat for moussaka or pastitsio a teaspoon is enough to have positive results from its use. 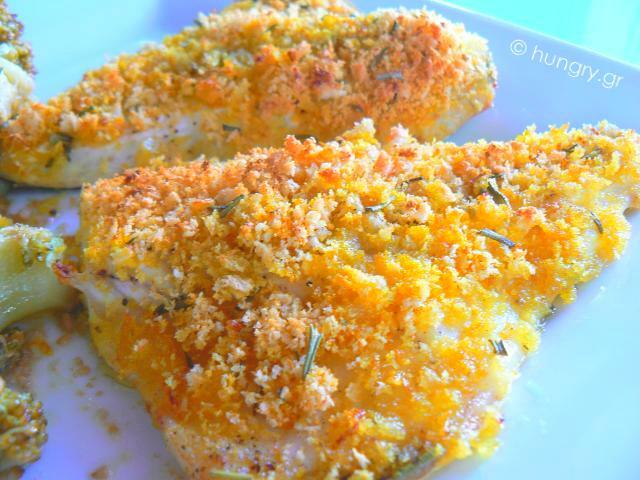 In fish, baked perch fillet I sprinkle a little turmeric over it. It becomes delicious and acquires color! In fried eggs just before the end, I sprinkle black pepper and turmiric. I do the same in eggs with tomatoes, in kagiana!. In omelete with porcini and not only. In stuffed tomatoes or vine leaves always the addition of turmeric is necessary. In savory cakes as broccoli muffins, you can see if not the taste at least the visual effect of turmeric. In the known and beloved "fried" potatoes in the oven, there is not case that they do not have turmeric and all those that ate them continue talking about it! In the briam baked with Bloody Mary, with delicious vegetables, turmeric highlights the personality and taste. In Fillet chicken Stroganoff the use of Turmeric relishes the chicken. An important addition to food, which used the turmeric (unless of course the sweetening for obvious reasons), is the black pepper. Strengthens the acquisition properties. Erode, a town in south indian district of Tamil Nadu, is the largest producer in the world and the most important commercial center of turmeric in Asia. 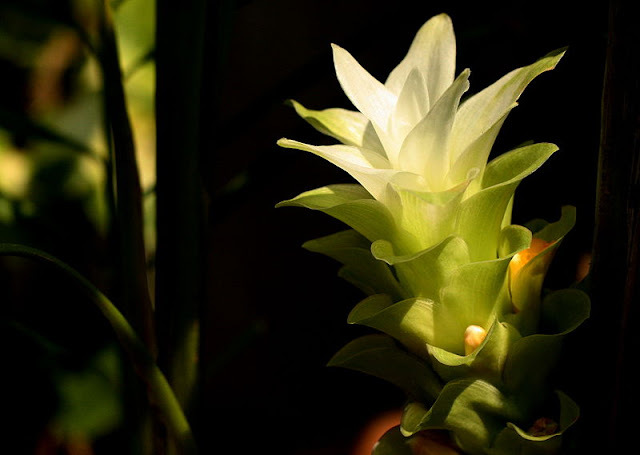 For these reasons, Erode historically is known as the "Yellow City" or "City Turmeric". 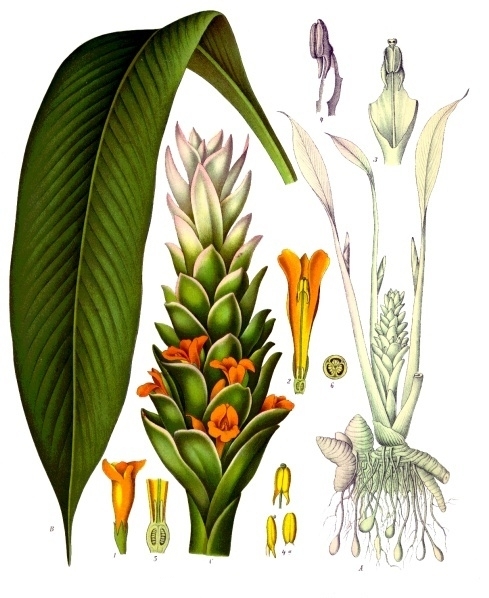 The turmeric is rizomatoeides, herbaceous, perennial plant of the same family as ginger. It is native to tropical South Asia and needs temperatures between 20°C and 30°C (between 68°F and 86°F) and enough annual rainfall to thrive. The plants gathered annually for their rhizomes, and multiply, some of them in the next season. It is a natural antiseptic with mild antibacterial agents, useful for disinfecting the cuts and burns. When combined with cauliflower, it is proven to prevent prostate cancer and stop its development. Prevented breast cancer spreading to the lungs in mice. It can prevent melanoma and destroy existing melanoma cells. 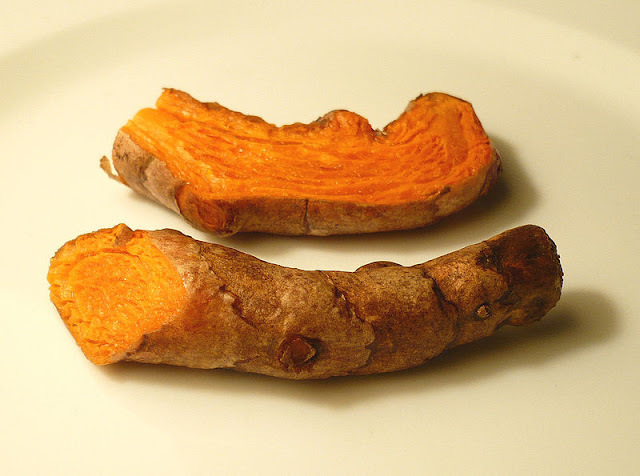 It is a natural for liver detoxification. Can prevent the emergence of metastases in many different cancers. It is a powerful natural anti-inflammatory that operates like many anti-inflammatory drugs, but without the side effects. It is promising in terms of slowing the progression of multiple sclerosis in mice. In conjunction with the black pepper, raises its efficiency to 1000 times in the human. In Athens turmeric powder can be purchased in spice stores in Evripidou street and in Piraeus to the corresponding street Gounari. After what has been mentioned above I would like to suggest some of my own dishes with which you can start to put turmeric in your diet. 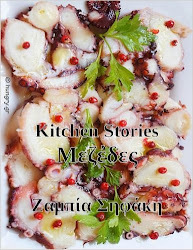 Its usability in many other recipes is obvious, it depends upon you to adopt them.